The Buy Local! 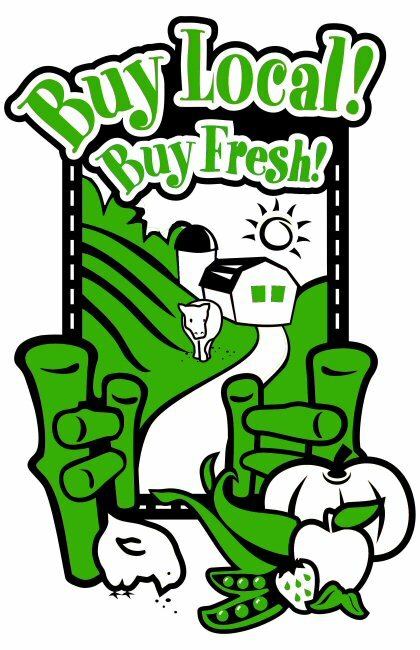 Buy Fresh! farm and food map is the centrepiece of our annual campaign to highlight local food and where to find it in the community. This regional marketing campaign is available to communities throughout the BC Interior, including our annual Okanagan Valley map since 2013, and our new Thompson Shuswap edition launched in 2016. The campaign includes our free printed fold-out maps, the online directory of Okanagan and Thompson Shuswap farm listings, a parallel signage campaign for farms and food products, and the option to participate in our booth at local events. Our new campaign opens each year at the end of June, in time for the summer season. We are excited to announce the 6th Annual 2018 Buy Local! Buy Fresh! Okanagan Map and the 3rd Annual 2018 Buy Local! Buy Fresh! Thompson Shuswap Map. Our 3rd Annual Thompson Shuswap showcases 50 participants, including 27 farms and over 20 other businesses from Kamloops to Salmon Arm, and east to Sicamous, west to Ashcroft, and north to Clearwater. The latest Okanagan map features 75 participants, including 48 farms between Osoyoos, the Similkameen, and Armstrong, as well as over 25 local food businesses, events and services.